Gauri Khan has established herself as a much-sought-after interior designer and executed projects in India and abroad. Lately she has also grown as a lighting designer for homes and offices. Being the wife of Badshah of Bollywood definitely helps. Gauri Khan was the guest of honour at the second edition of Indian Real Estate Expo (IREX), which she inaugurated at the Ashok Hotel last week. IREX is an annual show that presents investment avenues for high-net worth individuals who intend to invest in international real estate and premium luxury properties. 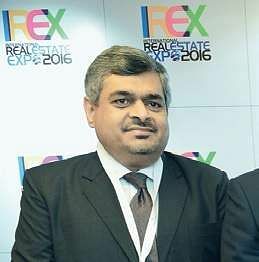 Some of the major participants at IREX 2016 were Damac Properties, Al Marjan Island and Rak Properties from the UAE, Century 21, Berkeley Homes and Ballymore from the UK, Compass from the US, McMillan Hathaway from Australia, Patroclos and Korantina Homes from Cyprus, Dusit Thani from Sri Lanka, among others. Seen at the convention were Sunaina and Vimal Anand, Faiz Riza of Damac, Naina Balsavar and other real estate players.